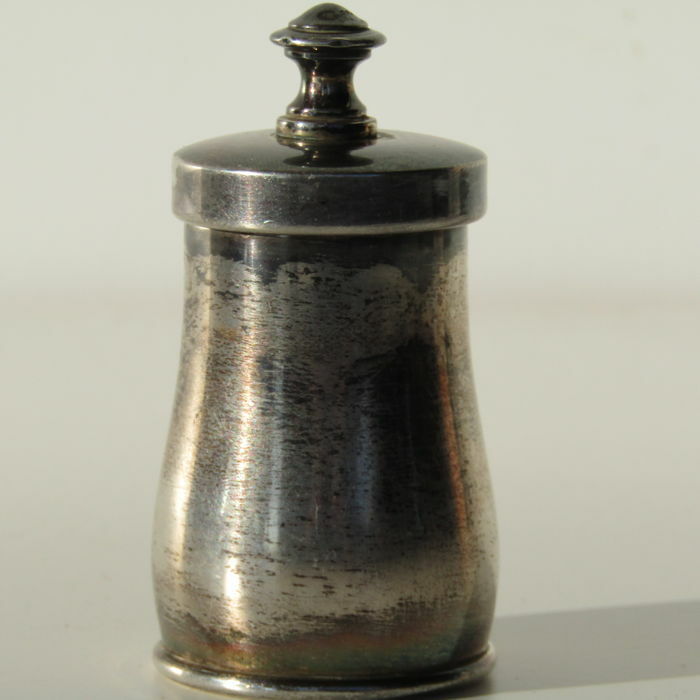 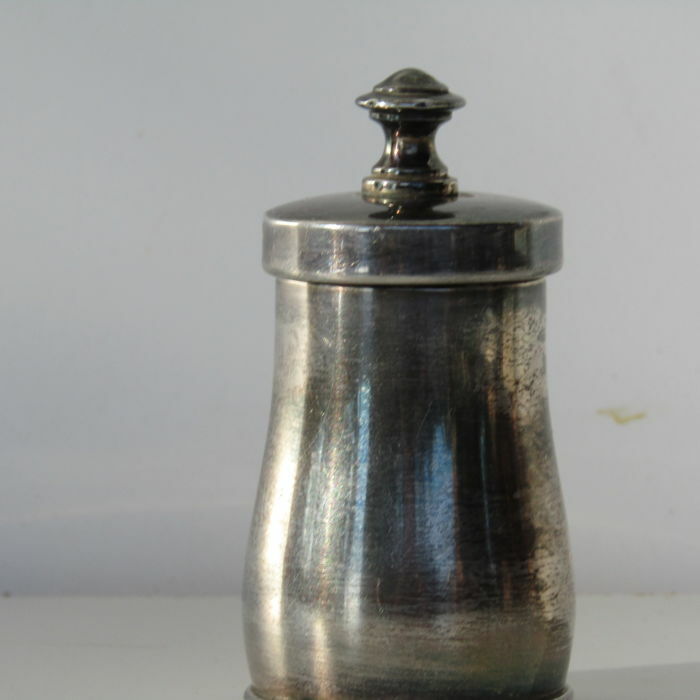 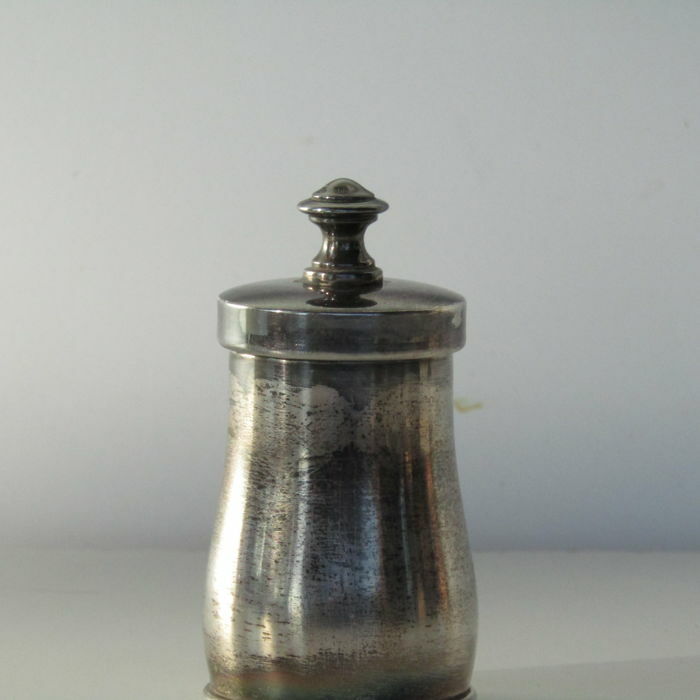 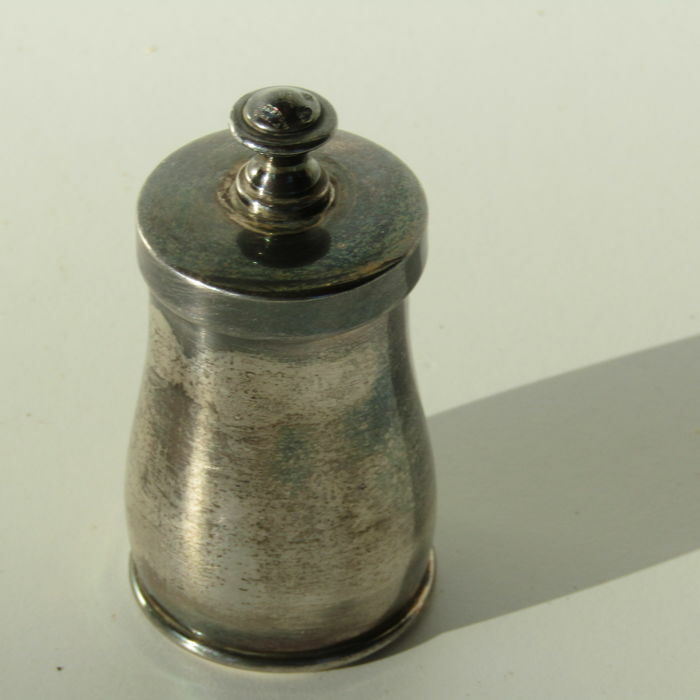 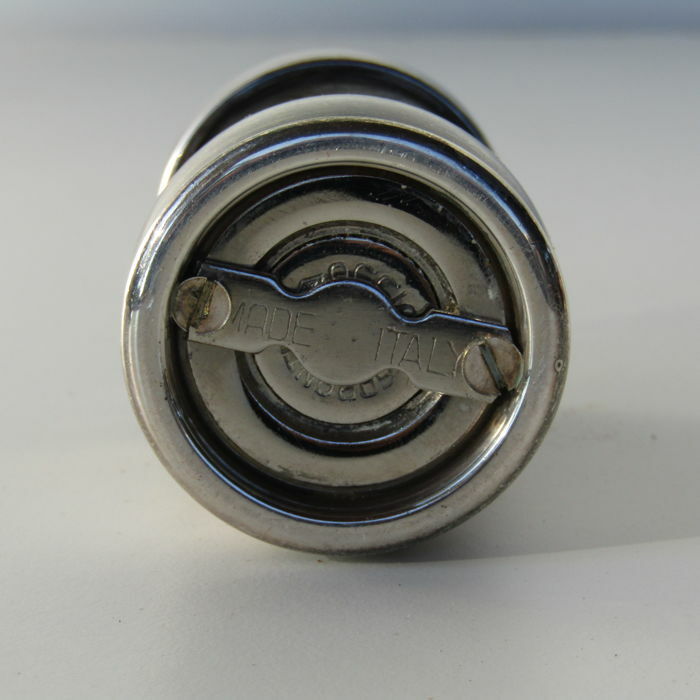 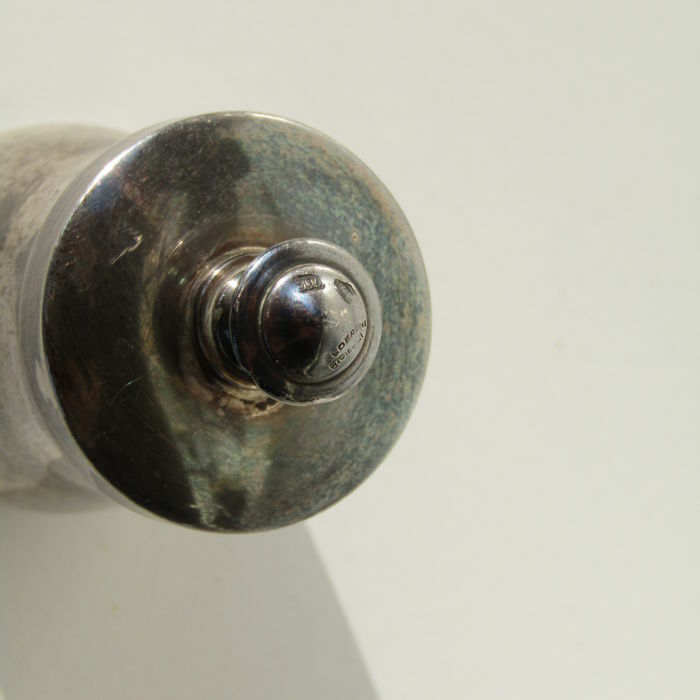 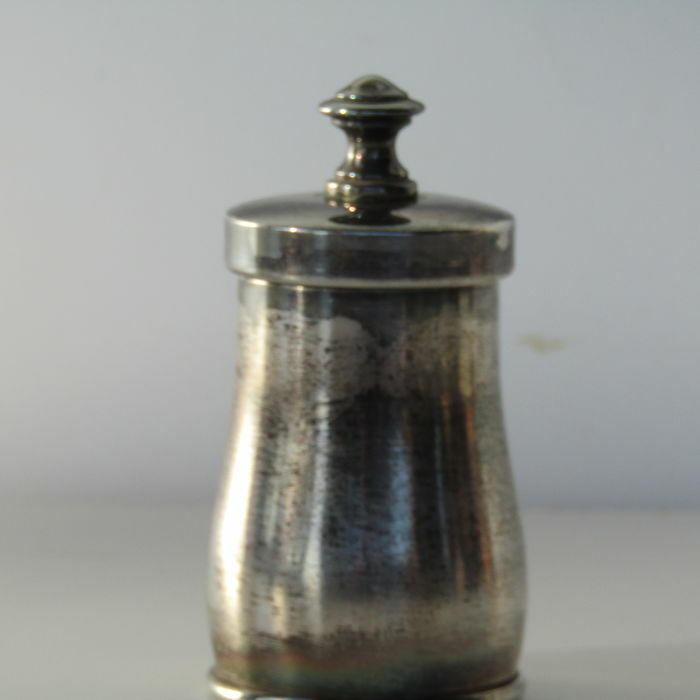 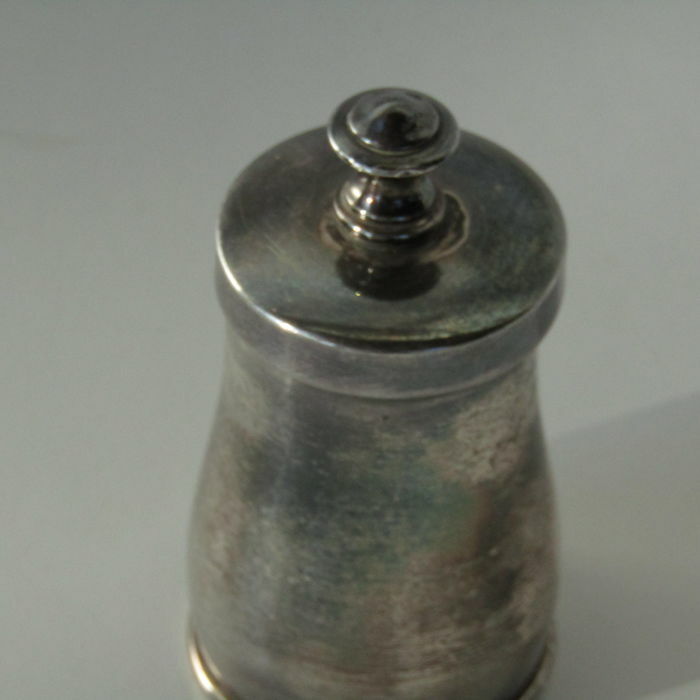 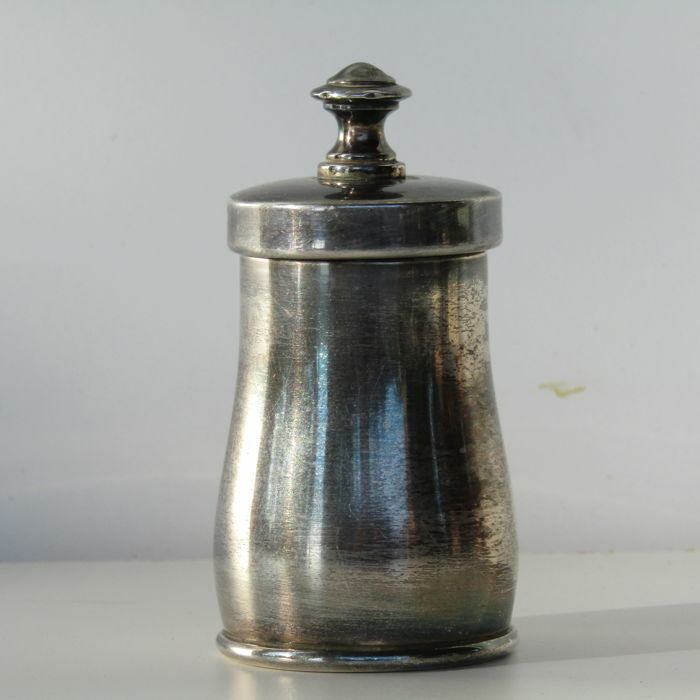 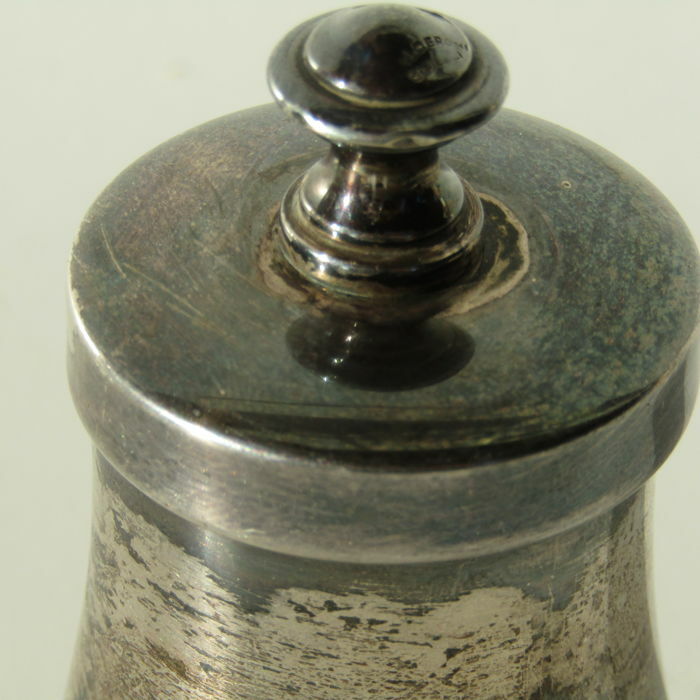 Charming Pepper grinder in silver 800, hallmarked. 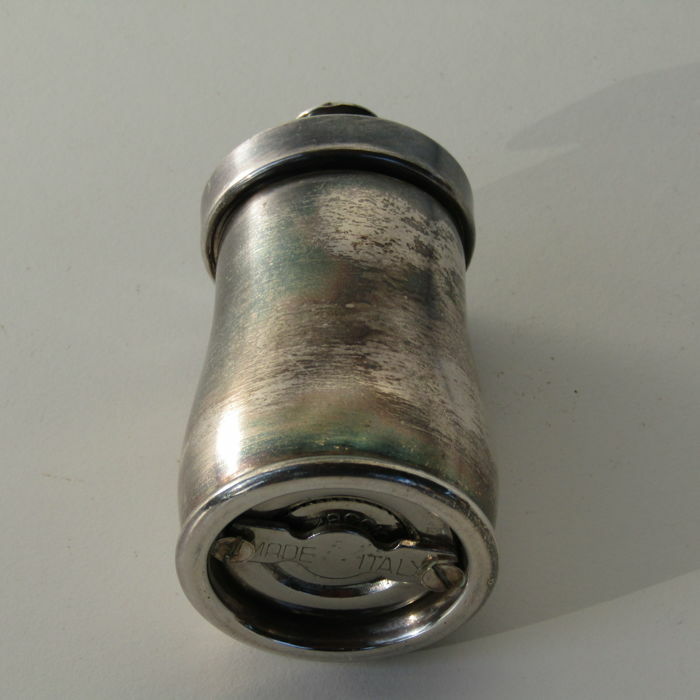 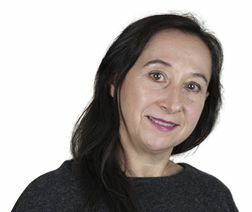 Realise by CALDERONI GIOIELLI, whose hallmark is not readable anymore. 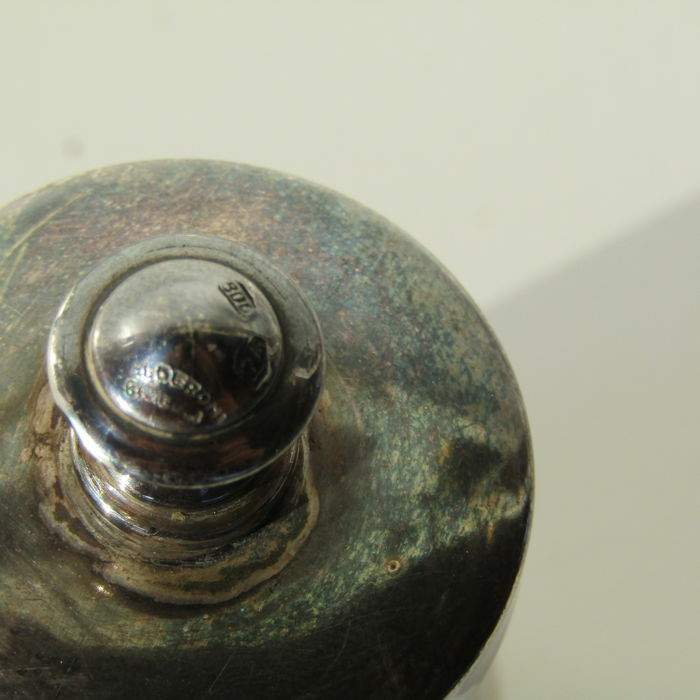 Silver fineness hallmark: 800 inside an oval outline. 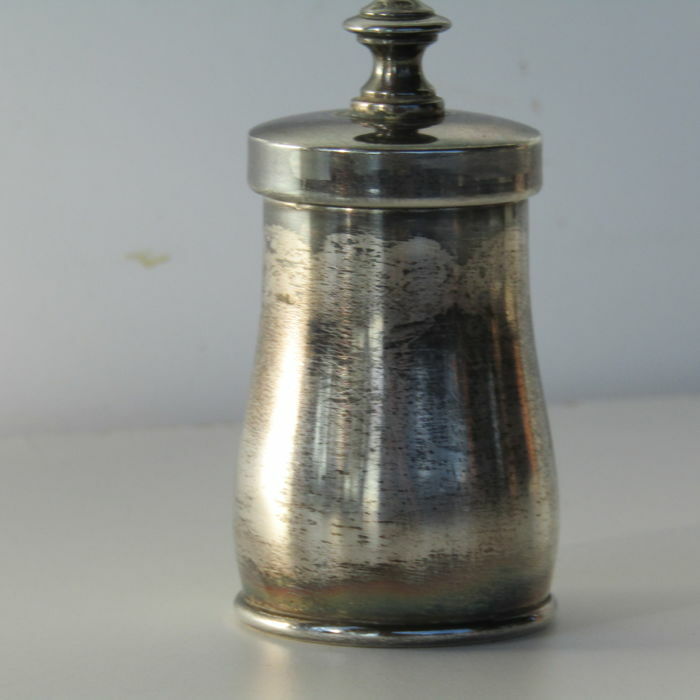 In working condition; it need to be polished. 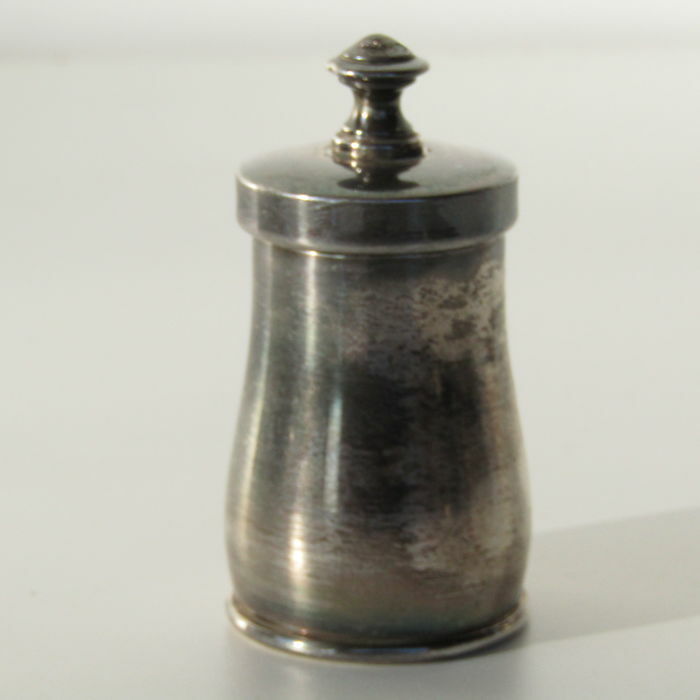 Dimensions: height 10 cm, base diameter 5, top diameter 4 cm. 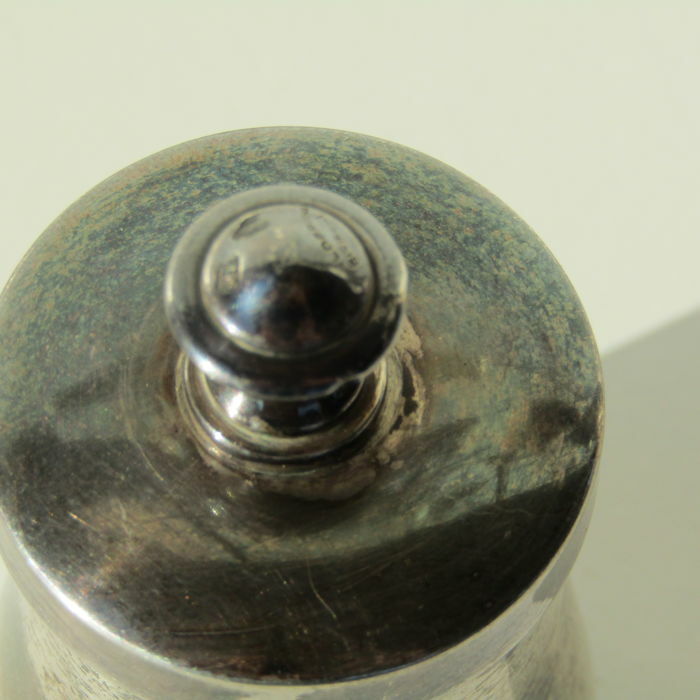 Careful proper packaging and shipping via express courier.